For the first time since its inception in 1996, the United States Golf Teachers Cup will change formats. The 2019 edition, to be held Monday and Tuesday, October 7-8 at Oak Creek Country Club in Sedona, Arizona, will feature a concurrent pro-am, similar to what is played every year at the AT&T Pebble Beach Pro-Am on tour. Each USGTF participant is encouraged to bring an amateur partner with a verified USGA handicap through the GHIN system. The format will be 36 holes of four-ball, using the best score between the pro’s gross score and his or her amateur partner’s net score, with amateurs allotted 80% of their course handicap. USGTF professionals will still be competing for their own individual titles, as in years past. 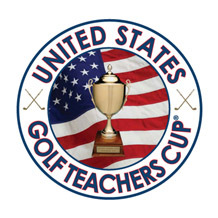 Look for final information and entry forms available soon at www.UnitedStatesGolfTeachersCup.com.